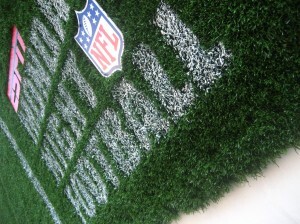 Hosive » Blog Archive » are you ready for some football? i loved these ads! 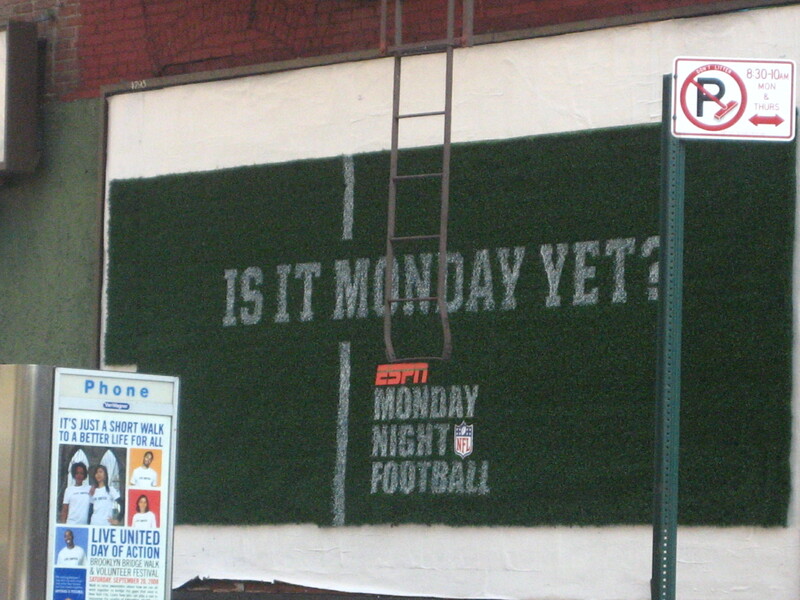 to promote monday night football this season, the nfl put these up all over the city. what’s the big deal? 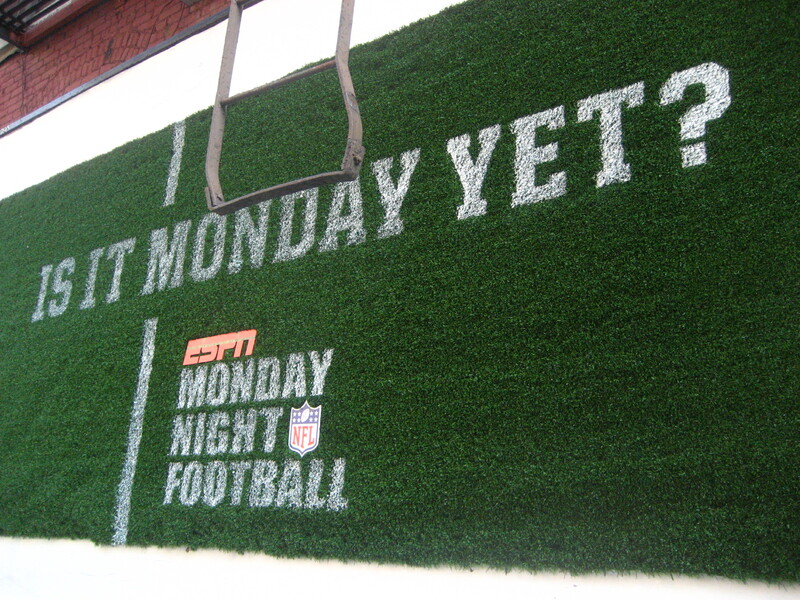 look closer…..
the ads are artificial turf spray painted with white lettering……just like a real(fake)football field! 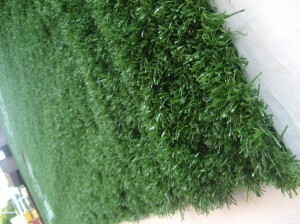 here are some close ups of the blades of turf……. and yes….they were promptly stolen from various locations in the city…ironically in the richer areas: soho, along broadway and other richie rich locales. but ironically, up where i am…..manhattan valley and morningside heights….they were still up! the people either respected the ads or liked having the ads up in the community or just didn’t bother. but i thought that was an interesting parable of right and wrong, rich and poor with multiple meanings and lessons. the stolen turfs are probably lining some guy’s room in the city. in their place, the nfl put up these traditional paper ads depicting a crime scene! 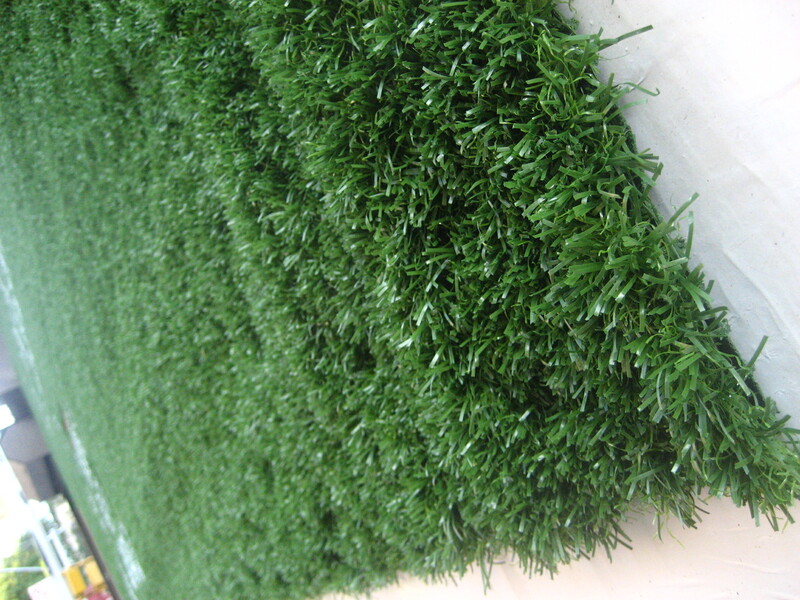 the notice warns about bad karma and urges the theives to return the turf. 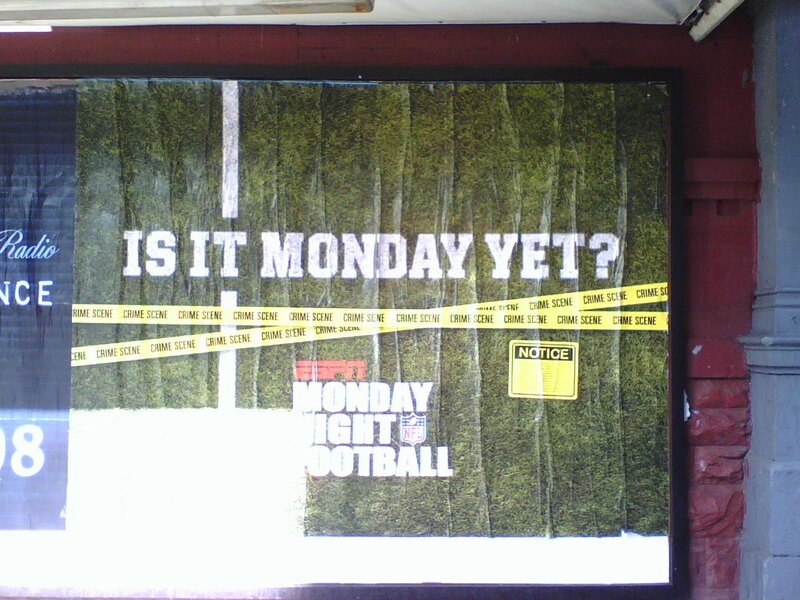 i was slow to capture these on camera and had to ask my good buddy thom for this copy…..by the time i got to thinking about this post, both the turf ads and the crime scene ads were all gone! there maybe a few strays in the city. let me know if you find one.